One hour before each performance, an informative FREE talk will be given to ticket holders for the performance. The talk will last 25mins approximately and will be given by our host, George Fleeton. No booking is necessary and is usually held in the Carolan Suite. Admission is FREE. The return of this stunning production directed by Vivian J. Coates tells this classic tale in a heartfelt and emotional rollercoaster. Featuring some of opera’s most famous music. Libretto by Giuseppe Giacosa and Luigi Illica after Henri Murger’s Scènes de la vie de bohème. Paris sometime in the 1950’s. A group of bohemians live in a room in an attic. Marcello is painting while Rodolfo gazes out of the window. They are so poor and so cold that they burn a drama that Rodolfo has written. Colline, the philosopher, comes in shivering and cross because he had not been able to pawn some books. Schaunard, the musician of the group, arrives with food, firewood, wine, cigars, and money. He tells his friends that he has got these things because he has a job with an English gentleman. The others hardly listen as they are so hungry that they try quickly to eat the food. Schaunard interrupts them, taking the meal away, and saying that they will all celebrate his luck by having dinner at Cafe Momus instead. While they drink, Benoit, the landlord, arrives to collect the rent. They give him lots of wine so that he becomes drunk and starts to tell the people his adventures about love. He then says that he is married, but the others throw him out of the room. The money that should have been used for paying the rent is divided among the group so that they can have a good time. The other Bohemians go out, but Rodolfo stays alone for a moment in order to finish a newspaper article, promising to join his friends soon. There is a knock at the door, and Mimì, a seamstress who lives in a flat below, enters. Her candle has blown out, and she has no matches; she asks Rodolfo to light it. She thanks him, but returns a few seconds later, saying she has lost her key. Both candles go out. It is dark, and the couple try to feel their way about. Rodolfo wants to spend time with Mimi. He finds the key, but does not tell her and puts it in his pocket. In two very famous arias (Rodolfo’s “Che gelida manina — What a cold little hand” and Mimi’s “Sì, mi chiamano Mimì — Yes, they call me Mimì”), they tell each other about their different backgrounds. Rodolfo’s friends call for him to come. He would prefer to stay there with Mimì but she decides they should both go together. They go out singing about their love for one another. It’s Christmas eve and the streets are crowded with happy people. Rodolfo buys Mimi a bonnet. The friends go into a café. Musetta, who used to be Marcello’s sweetheart, comes into the cafe with Alcindoro, a rich, old man. She is tired of him. She sings a naughty song, hoping Marcello will notice her. Marcello becomes mad with jealousy. To be rid of Alcindoro for a bit, Musetta pretends to have a tight shoe and sends him with it to the shoemaker. Musetta and Marcello fall into each other’s arms. Musetta has brought Mimi back with her to the attic room. Mimi is helped into a chair. Musetta and Marcello leave to sell Musetta’s earrings in order to buy medicine, and Colline leaves to pawn his overcoat. Schaunard leaves quietly to give Mimi and Rodolfo time together. Left alone, the two remember their past happiness. They remember their first meeting. Rodolfo gives Mimi the pink bonnet he bought her, which he has kept as a souvenir of their love. The others return, with a gift of a muff to warm Mimi’s hands and some medicine, and tell Rodolfo that a doctor has been called, but it is too late. As Musetta prays, Mimi dies. Rodolfo collapses in tears. 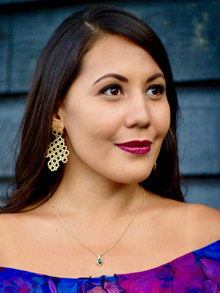 Winner of a Leonard Ingrams Award and the Joan Sutherland and Richard Bonynge Bel Canto Award, New Zealand born Samoan soprano Marlena Devoe also won the Richard Bonynge Award and the Tait Memorial Prize. She was a 2018 Alvarez Artist at Garsington Opera at Wormsley, where she made her debut as Alice Ford Falstaff. Marlena Devoe completed her MA in Advanced Vocal Studies with Distinction at the Wales International Academy of Voice, studying with Nuccia Focile and Dennis O’Neill. Prior to her studies in Cardiff, she studied at the University of Auckland, with a degree in Italian and German. Following a language exchange programme in Florence, she studied at the Manhattan School of Music in New York. In Masterclasses, she has worked with Rebecca Evans, Dame Della Jones, Dame Kiri te Kanawa, Nelly Miricioiu, Ann Murray DBE, Virginia Zeani, Richard Bonynge and David Gowland. Concert engagements have included performances alongside Dame Kiri te Kanawa, Andrea Bocelli, Jonathan Lemalu and Simon O’Neill. She attended the Georg Solti Accademia di Bel Canto, which led to an invitation to sing Adina L’elisir d’amore at the Verbier Festival conducted by Jésus Lopez-Cobos, and her engagements have further included Mimì La bohème for Lyric Opera, Dublin, Lauretta Gianni Schicchi for Singapore Lyric Opera, Gilda Rigoletto for Opera Project and Violetta La traviata for Clonter Opera. Current engagements include Mimì La bohème for New Zealand Opera and Messiah with the New Zealand Symphony Orchestra. 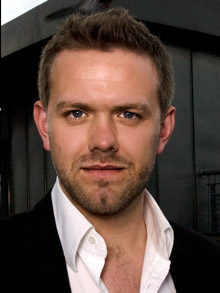 Northern Irish baritone, Ben McAteer’s recent and future operatic highlights include the Earl of Mountararat in Gilbert & Sullivan’s Iolanthe at English National Opera, Marullo Rigoletto for Northern Ireland Opera, a concert performance of Die tote Stadt as Fritz/Pierrot with the RTÉ National Symphony Orchestra, Count Almaviva in Irish National Opera’s production of Le Nozze di Figaro and Pangloss & Voltaire in Leonard Bernstein’s Candide for West Green House Opera and the Xi’an Symphony Orchestra. At Scottish Opera, Ben created the role of James in the world première of The Devil Inside, winning Outstanding Performance in an Opera at the My Theatre Awards in Toronto. He also sang title role Le Nozze di Figaro, Guglielmo Cosí fan tutte and Pish-Tush The Mikado. Dublin Soprano Rachel Croash was a finalist in the 9th Festspiele Immling International Singing Competition and was subsequently invited to perform Amore in Gluck’s Orfeo ed Euridice as well as Gilda in selected scenes of Rigoletto in the Festival\\’s Verdi Gala in 2017. Other roles include Valencienne The Merry Widow (Lyric Opera Productions), Elvira L’Italiana in Algeri (Blackwater Valley Opera Festival), Mademoiselle Silberklang Der Schauspieldirektor (Irish National Opera), Una Eithne (Opera Theatre Company), Mrs.Coyle Owen Wingrave (Opera Collective Ireland), Fiordiligi Così fan tutte (Lismore Opera Festival), Susanna Susanna’s Secret (Opera Theatre Company), Serafina Il Campanello, Reneé Koanga, Dew Fairy Hänsel and Gretel, Annina La Traviata (Wexford Festival Opera) , Frasquita Carmen (RTÉ Concert Orchestra; Cork Operatic Society). 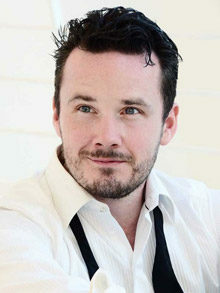 Aaron Cawley is an Irish tenor, educated in Dublin. 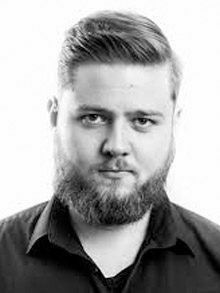 During several years Aaron Cawley has worked at Heiisisches Staatstheater Wiesbaden in Germany. There he has sung roles such as Aegisth Elektra, Cassio Othello, Malcolm Macbeth, Cavaradossi Tosca, Lensky Eugene Onegin, Pinkertonn Madame Butterfly, Rodolfo La Bohème and The Youth Die Frau ohne Schatten, Captain Pirzel Die Soldaten, Pastor Adams Peter Grimes, Froh Das Rheingold, First Priest Die Zauberflöte, Alfred Die Fledermaus and Count Elemer Arabella, Walther Tannhäuser, Dariush Schönerland, Tichon Katya Kabanova and Erik Der fliegende Holländer. 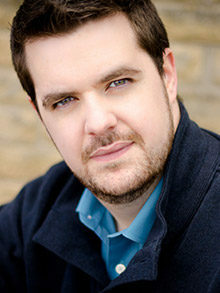 For the Northern Ireland Opera in Belfast, Aaron Cawley has sung Malcolm Macbeth, at Cadogan Hall in London he has sung the title role in Samson Samson and Delilah, at Garsington Opera he has done Pásek The Cunning Little Vixen and at Zwingenberg Schlossfestspiele he has sung Alfredo La Traviata. Cawley has also been part of The Five Irish Tenors, one of Irelands most popular ensembles. Future engagements include his debuts as both Don Jose Carmen and Manrico Il Trovatore. In 2005 Toby Purser founded the Orion Orchestra, a stepping-stone orchestra for the most talented instrumentalists leaving music college and has developed it into one of London’s great orchestral successes, receiving glowing reviews and recognised as a leading organisation for young musicians. Now performing over a dozen concerts per year in all of London’s most prestigious venues, he recently toured with them to Singapore as part of the Shaw Foundation’s ‘Ones to Watch’ Series at the Yong Siew Toh Conservatoire. Together, they have worked with soloists including Nicola Benedetti, Susan Gritton, Tasmin Little, Joanna MacGregor, Alwyn Mellor, Dame Ann Murray, Teo Gheorghiu, Martin Grubinger, Guy Johnston, Jack Liebeck, Julian Lloyd-Webber, Dennis O’Neill, Valeriy Sokolov and Simon Trypceski. Toby Purser also initiated a Composers’ Prize, a Young Conductors’ Award and a Great Young Soloists series. For English National Opera, he has conducted The Turn of the Screw, The Marriage of Figaro and La traviata. At Grange Park Opera, he has conducted Madama Butterfly, Eugene Onegin, Rigoletto and Fortunio, which was also performed at the Buxton Festival, and with Opera Della Luna The Daughter of the Regiment, Orpheus in the Underworld, the UK premiere of Johann Strauss’s operetta Das Spitzentuch der Königin, and Tales of Offenbach. Other operatic performances have included Bailey’s The Black Monk for The Sirius Ensemble, Haydn’s The Apothecary and La Canterina for Bampton Classical Opera, Hänsel und Gretel and Die Entführung aus dem Serail for British Youth Opera and Le Comte Ory for Chelsea Opera Group. For Pimlico Opera, he has conducted productions in various prisons, with a cast of inmates performing alongside professionals in repertoire include Carmen the Musical, Les Misérables, Sugar, Sister Act, Sweeney Todd and West Side Story. 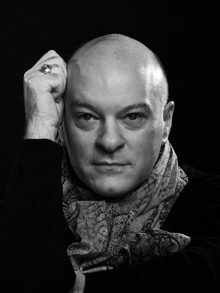 Toby Purser assisted Mark Wigglesworth on Lulu and Ryan Wigglesworth on The Winter’s Tale at ENO, as well as assisting Edward Gardner on Eugene Onegin at the Opéra national de Paris and Anthony Negus on Tristan und Isolde at Longborough Festival Opera. 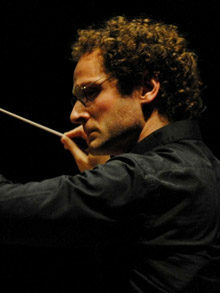 He conducted The Daughter of the Regiment at the 2018 Buxton Festival, and his current plans include a return to the Buxton Festival to conduct Orpheus in the Underworld for Opera Della Luna,La bohème for Lyric Opera, Dublin, the Orion Orchestra’s on-going Alpha and Omega series at London’s Cadogan Hall, an orchestral residency at Aberystwyth MusicFest, and concerts with the East Anglia Chamber Orchestra, the City of Southampton Orchestra, the London International Orchestra and for Raymond Gubbay Ltd. Appointed Music Director of New Sussex Opera, he will conduct Stanford’s The Travelling Companion, a production that will be recorded by SOMM. Rory was born and raised in Connemara on the family farm and his musicality was spotted from a young age. In order to further develop his talent he was sent to boarding school in Dublin where music was an integral part of his education. Leaving school, Rory then took a circuitous route to Opera. He decided to broaden his education and did a B.A. in Film Studies and English, where his taste for story telling only grew. He followed this with an M.A. in Drama Contemporary Theatre Studies and went to work in free lance theatre production. This was all in parallel to his singing, which never went away. Rory sang with the Christchurch Cathedral Choir, Dublin, as a choral scholar before joining the International choral group Anúna. He toured and recorded with them for several years and gained huge experience in performing, recording, touring and educational work. He still retains a strong relationship with the group. At the age of 26 he realised that he wished to specialise, and to combine his work in theatre and singing. Already a keen opera lover he enrolled in the Royal Irish Academy of Music on their M.A. in Vocal Performance and trained under Philip O’Reilly. This coincided with an expansion in the opera productions in the RIAM with the Opera Briefs project, and he was given many opportunities to gain stage experience and cut his teeth as a young baritone. This gave him the foundations for his new career. Rory went on to learn his trade with many Irish based companies, starting in chorus with Northern Ireland Opera, Opera Theatre Company and Wexford Festival Opera. From here he worked his way up the ranks from chorus to understudies, and finally supporting and principal roles.